Do You Need To Get Away? Are You Searching For Last Minute Travel Ideas Or Antiques Travel Destinations? If you’re searching for great ideas for that “Girlfriends Getaway”, “Couples Excursion” or family weekend trip, look no further. We’ve provided two sample itineraries that you can use to build your very own “Antiques and Collectibles Discovery Tour” in Central Kentucky! If you’re traveling to Kentucky from Tennessee or places further south, a good starting point for your trip is Berea, KY. Arrive in Berea in late afternoon or early evening where there are several excellent options for accommodations for your first night in Kentucky. Boone Tavern Hotel & Restaurant, Berea, KY – Historic Boone Tavern Hotel & Restaurant is located on Berea’s College Square. Named after Kentucky’s early explorer Daniel Boone, the hotel has been in continuous operation since 1909 when it was established primarily to house guests of Berea College, and has traditionally been staffed by Berea College students. It is widely renowned for its restaurant which has a reputation for fine Southern cooking. Snug Hollow Farm, Irvine, KY – Snug Hollow Farm is a short drive from Berea, but well worth the trip. Featured in such publications as Southern Living, Midwest Living, National Geographic Traveler, Frommer’s USA and Kentucky Monthly, Snug Hollow is an eco-friendly, 300-acre farm encircled by gentle mountains. It includes a cozy, restored 150-year-old chestnut log cabin and a spacious farmhouse where mouth-watering meals are served at a long dining room table adorned with candles and fresh-cut flowers. This bed & breakfast provides a secluded, idyllic retreat. Berea is known as the “craft capital of Kentucky” for a reason. There are a variety of shops where you can find uniquely-crafted, one-of-a-kind items. And you’ll find plenty of antiques shops along Chestnut Street including Bay Window Antiques, Something Olde Storage and McCray’s Antique Center. After spending a busy morning in Berea, it’s time to hit the road traveling west to Harrodsburg. Once you arrive in Harrodsburg, it will be time for a late lunch. Beaumont Inn offers a great dining experience, and there are plenty other great choices. When lunch is finished, you can find several antiques shops in Harrodsburg’s historic downtown district and along College Street (US HWY 127). After you’ve had an opportunity to “shop ’til you drop”, call it a day. Rest, relax and eat at Shaker Village of Pleasant Hill or “Shakertown” as the locals call it. The Inn at Shaker Village features a hotel with modern amenities and great dining. Shaker Village is a National Historic Landmark and the largest restored Shaker community in America. It features 2900 acres of bluegrass farmland and 34 restored buildings, a self-guided tour of 14 restored buildings where costumed interpreters discuss the Shakers, an extensive museum collection, and changing exhibits. Scheduled daily, Spring through fall, are Shaker music performances, historic farming and special craft demonstrations. After enjoying a satisfying breakfast, hop in the car and follow HWY 68 south to Perryville, then US HWY 150 west to Bardstown. Once there, visit Bardstown’s historic downtown where you’ll find a number of antiques and other shops for your shopping pleasure. Enjoy a casual lunch. From Bardstown, take the Bluegrass Parkway east to Exit 34, then follow a scenic drive on HWY 55 north to Shelbyville. Visit several antiques shops along Main Street, then pay a special visit to world-renowned Wakefield-Scearce Galleries. Shelbyville offers several choices for evening dining. Conclude your day with the short drive on I-64 east to Frankfort for a comfortable night’s rest. After a scrumptious breakfast, you’ll want to make a visit to Wilma’s Antiques and The Rail Fence (especially for model train enthusiasts), then continue traveling I-64 east to Midway where you’ll find all the charm and friendliness of a small Kentucky town. Enjoy walking up and down Main Street for an eclectic mix of antiques and artisan shops of Kentucky crafters, then stop for a delightful lunch at any one of Midway’s unique eateries (caution: many serve lunch only from 11AM – 2PM). After lunch, follow US HWY 421 (Old Frankfort Pike) into Lexington, where you’ll find Feather Your Nest Antiques and Meadowthorpe Antique Mall just across the street from one another. While in Lexington, you don’t want to miss a visit to Scout Antiques & More or Room Service (just next door). If it’s the weekend, you may want to stop by the Athens Schoolhouse Antiques Show (follow I-75 south to Exit 104). Thank you for visiting! We hope you have discovered so much to see and do that you’ll be back again to visit us soon! As you cross the bridge into Kentucky from Ohio, you’re immediately presented with a number of choices of things to see and do. As you enter Kentucky from Ohio, follow I-75 south to Exit 185. Follow I-275 east to Exit 77, and follow KY Route 9 (AA HWY) south toward Alexandria. Continue on KY Route 9 to HWY 2828, turning left. Then turn right on HWY 8 until you arrive in Augusta. Augusta is a charming little town and a great place to spend the day. June through October, you’ll find various festivals and special events taking place along the riverfront. At the end of July/beginning of August is the annual Riverfest Regatta, a wonderful weekend of arts & crafts, live entertainment, great food, music, a car show, and lots of boats! The Rosemary Clooney House, and Lavender Hills of Kentucky (lavender farm) are also great stops here. But it is Augusta’s very walkable historic downtown that features a treasure trove of interesting antique and gift shops, and an art gallery or two, that will really delight you. Augusta boasts several attractive dining choices, and lunch or dinner at the Beehive Tavern, Bravo Cafe or Parkview Inn Restaurant is a must do. If you stay overnight, the Parkview Country Inn (Just a hint: Its outer appearance may be a bit deceiving. This is a wonderfully luxurious place to stay. ), Sabbathsong Farm, or Asbury Meadow are all excellent choices. Start your day early, you’ve got a lot to do! Get on KY HWY 19 and follow to KY HWY 9. Turn left onto US 62 into Maysville. As one of the oldest settlements in Kentucky, Maysville offers plenty to see and do. From visiting the floodwalls and Kentucky Gateway Museum, to learning about the Underground Railroad, Old Washington settlement and the Harriet Beecher Stowe Museum, you’ll find much to interest you. And Maysville boasts enough antiques, collectibles and craft shops, to keep your morning occupied, and a number of dining establishments to suit your mid-day tastes. After Maysville, a short drive down HWY 11, will bring you to Fleming County (the covered bridge capital of Kentucky) and the town of Flemingsburg. Flemingsburg offers several antiques and collectibles shops, and you won’t want to miss a visit to Humphries Antiques in nearby Hillsboro, with over 12,000 sq ft of antiques and collectibles on display, as well as hard-to-find restoration pieces and supplies. From Flemingsburg, follow HWY 32 to HWY 165, turn right, and follow to US HWY 68. Travel south along US HWY 68 to Blue Licks State Resort Park for your overnight stay. Begin your day’s journey by continuing to travel south on US HWY 68 to Paris, KY. Downtown Paris is well-known for its antiques and collectibles shops. Among your choices you’ll find Loch Lea Antiques, which specializes in fine antiques and Kentucky antiques; Ardery’s Antiques, which features an old-fashioned soda fountain and lunch counter that’s very popular among the locals; Graham’s Antiques, Discoveries Antiques, and Antiques & Stuff just to name a few. After lunch, follow US HWY 27 into Lexington. On Leestown Road (HWY 421 on the north side of Lexington), you’ll find Feather Your Nest Antiques and Meadowthorpe Antique Mall just across the street from one another. While in Lexington, you don’t want to miss a visit to Scout Antiques & More or Room Service (just next door) just off Winchester Road on Liberty Road. If it’s the weekend, you may want to stop by the Athens Schoolhouse Antiques Show (follow I-75 south to Exit 104). 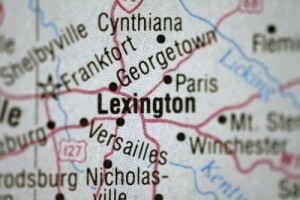 Lexington offers a myriad choices for dining and lodging. After a leisurely breakfast, begin your final day with a trip up I-75 to Georgetown, and put on your walking shoes. Downtown Georgetown is replete with antiques shops and galleries from one end of Main Street to the other; Central Kentucky Antique Mall, Glover’s Bookery, Friendly’s, Georgetown Antique Mall, Heirlooms & Gretchen’s, and more. In addition to antiques establishments, there are also several flea markets in Georgetown, near I-75 and on Paris Pike. Georgetown offers great choices for lunch, with a number of fast food and family-style restaurants. For something a bit more interesting, you might visit Lock and Key Café, FatKat’s Pizzeria and Restaurant, or Upbeat Café and Music Venue. Thank you for visiting! We trust you’ll be back to visit again.